World stock markets were pressured Monday, with Asia taking the heaviest hit, as investors worried about signs of a sharp global economic slowdown. Traders shrugged off news that an investigation found no evidence of collusion between US President Donald Trump's election campaign and Russia. The pound gave up earlier gains to trade lower against the euro and the dollar after Prime Minister Theresa May admitted Monday she still had not secured the votes needed to get her Brexit deal through parliament, again raising the prospect Britain could crash out of the European Union in two weeks' time. 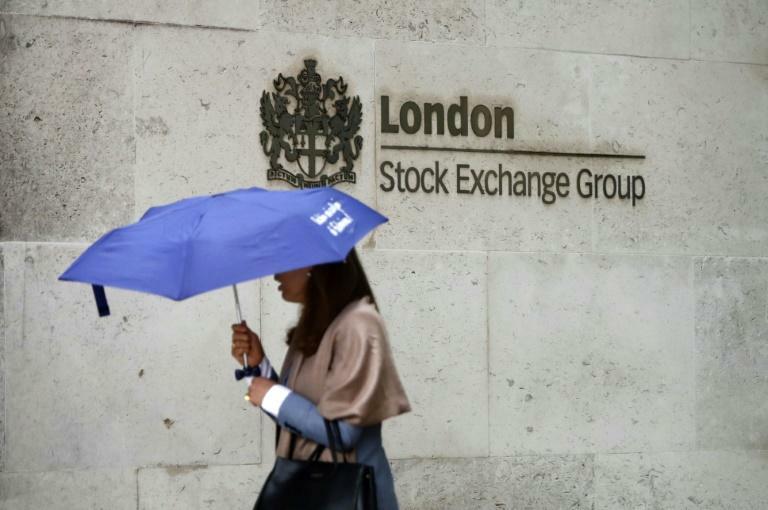 In Europe key stock markets were lower at the close, with London the weakest performer. Wall Street finished a choppy session little changed, with little impact from the conclusion of Special Counsel Robert Mueller's report which failed to tie Trump and his campaign to conspiring with Russia to influence the 2016 US presidential election. "We have rarely if ever commented on the investigation as it has never been seen as a market moving event," said Art Hogan, chief market strategist at National. "We do not see that changing with the release of the findings." Apple declined 1.3 percent after product launches that included a game subscription service and a news service, in addition to a subscription streaming service to compete with Netflix, Amazon and other tech giants. Tokyo's main stock index was hammered 3.0 percent, while Hong Kong and Shanghai each dived two percent, as concerns festered also over a possible recession in the United States, dealers said. US and European equities had tumbled Friday as the yield on 10-year Treasury bonds fell below those for three-month bills -- for the first time since before the global financial crisis. "This development will psychologically encourage further anxiety and rocket fears that the global economy is heading for another downturn, if recent economic releases across the globe have not already provided indications that the downturn has arrived," said analyst Ahmad.